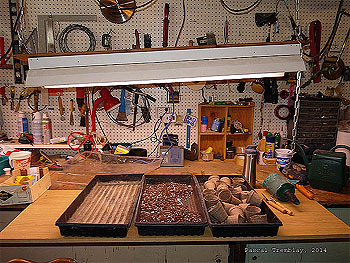 You don't have any space for seed starting indoors? 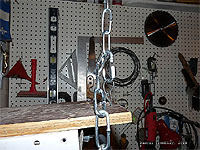 Use your carpenter's bench in your basement! Learn how to setting up a removable indoor grow table with grow lights hung by the ceiling with chains. 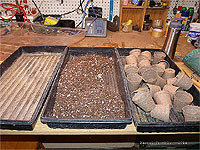 Idea to be prepared for starting seeds in winter!